What happens if President Trump does not run in 2020? I’m a Conservative INDEPENDENT Candidate Running for POTUS in 2020—Here’s my team! *President Donald Trump will be granted a special honorary advisory role to be mutually agreed upon should he decide not to run for POTUS in 2020. The main focus will be the temporary government takeover of the Mainstream Media to include Big Social Media. There will also be a special oversight board formed to monitor and regulate Big Tech. Candidate Key Points: The many unprovoked wars of naked aggression by the United States proceeds at breakneck speed. The military support of Saudi Arabia’s invasions of Yemen and subsequent humanitarian crisis began under the current administration. So did the massive buildup of U.S. military weaponry in the Ukraine in preparation for a renewed civil war. The U.S. is also leading a full-blown coup d’état in Venezuela at this very moment. Why the USA still has a major air base in Iraq to monitor Iran is as unacceptable as are the many unjustified and provocative threats constantly made against Tehran. The U.S. military and Intelligence Services still occupy Syria in opposition to the democratically elected Assad government and even continue to arm notorious terrorists groups. Illegal and deadly attacks on Somalia take place whenever the U.S. Armed Forces are directed by who? This list of American warmongering activity is actually much longer but the other theaters of war are being conducted by proxy and stealth. All of these acts of military aggression are completely unacceptable and constitute war crimes by the Deep State. The entire Mainstream Media will be held to account from day one for participating in a soft coup against the Trump administration. Every seditious news organization in the USA will be shut down. Each co-conspirator will be prosecuted to the fullest extent of the law, no matter who they are. THE MAINSTREAM MEDIA IS THE ENEMY OF THE PEOPLE! First, the border wall / fence / security system will be built and established as quickly as possible. A NATIONAL EMERGENCY will be declared by Executive Order to bypass the U.S. Congress and to allocate the appropriated funds necessary to complete this imperative project. No expense will be spared to totally secure America’s borders, whether it requires $5 billion or $50 billion or more. DACA, anchor babies, illegal aliens, war refugees, and economic immigrants will each be legally dealt with as they are defined by federal immigration law. They will all be treated with respect and compassion, but also with the full force of law when appropriate. The status quo across the board is currently unacceptable and will be addressed post-haste. The U.S. Election System will be completely overhauled so that only U.S. citizens can vote and so that every vote is properly counted. Paper trails and digital records among many other essential measures will be employed in order to prevent voter fraud and election theft. There will never again be a stolen election in this country. Obamacare will be systematically repealed and replaced with a well thought out National Healthcare Act that serves all the people. The new Americare will be phased in over years and adequately funded at every critical point of expansion and development. The United States will withdraw from NATO as it has morphed into the “North Atlantic Terrorist Organization”. The United States will withdraw from the United Nations and begin the process of forming a new international union that respects the sovereignty of each and every nation on Earth. The United States will withdraw from every international Alliance and Treaty that represents a foreign entanglement potentially leading to war. The United States will withdraw from every Trade Agreement that is unfair to American corporations and companies, farms and home businesses, entrepreneurs and workers, within reason of course. New trade agreements will also be negotiated wherever the U.S. enjoys unconscionable enrichment at the expense of foreign labor. The entire system of tariffs will also be evaluated for desired effect, fairness and efficacy. The Iran Deal will be re-signed and re-activated. The Joint Comprehensive Plan of Action will be put back to where it was and honored before the U.S. officially withdrew on 8 May 2018. No action will ever again be taken to solely Make Israel Great Again. From now on, it will be MAGA and only MAGA where no other nation is hurt by our gain. Our relationship with Russia will be expeditiously repaired and open lines of direct communication with President Vladimir Putin restored. Every opportunity will be taken to normalize relations with the Kremlin so that the USA and Russia will embark on a new path toward fostering world peace and true collaboration. Our trade differences and commerce grievances with China will be talked out in a fashion that is no-nonsense, open-minded and fair to both parties. Negotiations will take place in a neutral venue and moderated by a trusted third party who has the proven expertise and experience to bring about a set of durable economic and financial agreements. Pax Americana and American Exceptionalism will be discarded as foreign policy paradigms. The United States will no longer function as the global policeman. North America is our home and where we will focus our attention and resources, especially meeting the needs of the citizenry. Infrastructure will be rebuilt and repaired; healthcare improved and education delivered to ensure well-balanced human beings and responsible citizens. The United States will no longer project its military force and political power, economic might and financial prowess across the planet as a weapon. Neither will America’s superpower strength be used to coerce nations to bend to our will. In other words, the traditional “might makes right” approach and constant gunboat diplomacy are a thing of the past. From now on it’s real diplomacy, first, second and third. Most urgently, on the domestic front, the swamp inside the Beltway will be drained. The fate of the American people and future of this Constitutional Republic greatly depend upon it. This all-important endeavor will begin on January 20, 2021. All enemies, both foreign and domestic, operating within the 50 states and territories, will be pursued and neutralized until they no longer pose a threat. Terminating child trafficking and exploitation will be number one on this particular agenda. This list of “Order of Presidential Business” is just a start and will be added to as new agenda items are developed and finalized. As for exactly who I am? Surely there’s an individual who will read this “job description” who has all the right stuff to get this job done right—once and for all. YES! If you think you’re the one, please email us ASAP to the following email address. All others can feel free to recommend a VPOTUS candidate or CIA Director. You may also send us valid reasons why any one of our suggested candidates should NOT be considered. We are open to any and all feedback, but please keep it civil and constructive. Our time is extremely valuable as we proceed with this urgent initiative. If President Trump does not run — FOR WHATEVER REASON — the Right will have to work extremely fast and effectively. 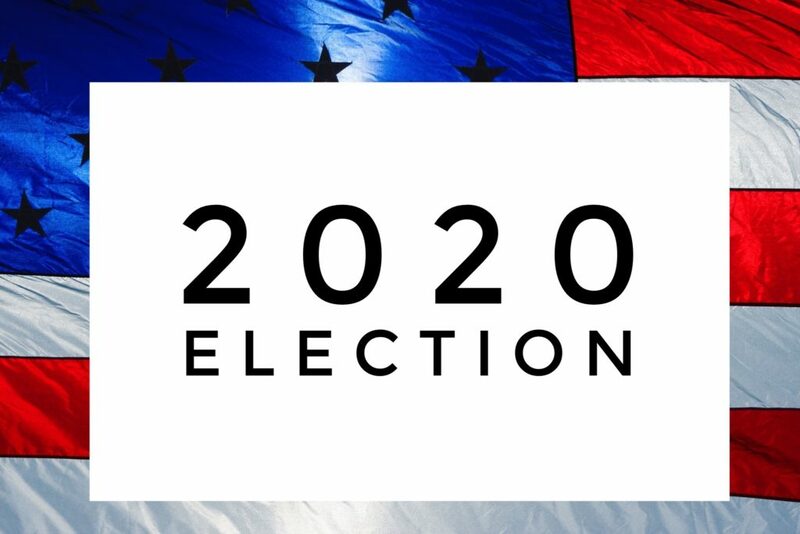 After all, 2020 is a winner take all situation. Both sides know it and will do whatever it takes to win. The Democrats, quite predictably, will attempt to steal every election in sight as they did with the 2018 midterms. Therefore, the Right must galvanize a herculean effort to keep the White House. Failure is simply not an option in 2020. CAVEAT: Because of the delicate balance in both houses of the U.S. Congress, no appointments will be considered that will decrease the number of Republican seats UNLESS IT’S CERTAIN THEY WILL BE OCCUPIED BY THE GOP. The Democrat hold on power MUST be broken in every branch of government and at every level—municipal, county, state and federal. The Democrat Party has morphed into the Communist Party and can never again be permitted to control the U.S. presidency. Eventually my administration will work to permanently dissolve the Democrat Party for the good of the country.